Task: to create a product name, logo, and packaging for a box of chocolates. 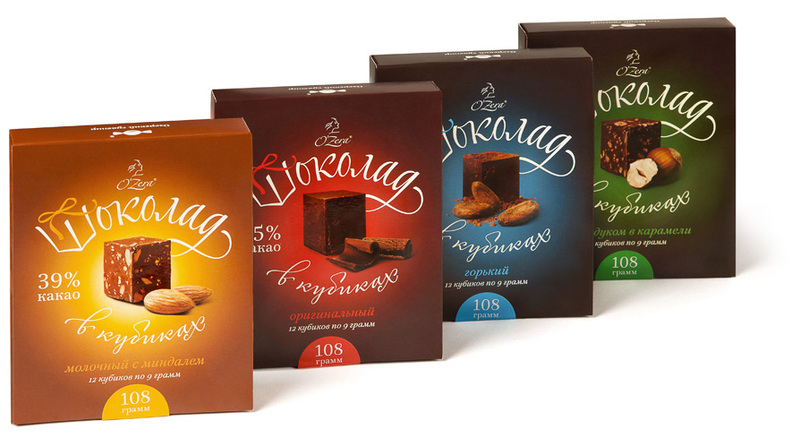 There’re coming new nine-gram chocolates to the market under the O’Zera trademark. The new line has a variety of flavors from milk to dark chocolate. Our studio was commissioned to design a product name, logo, and packaging. 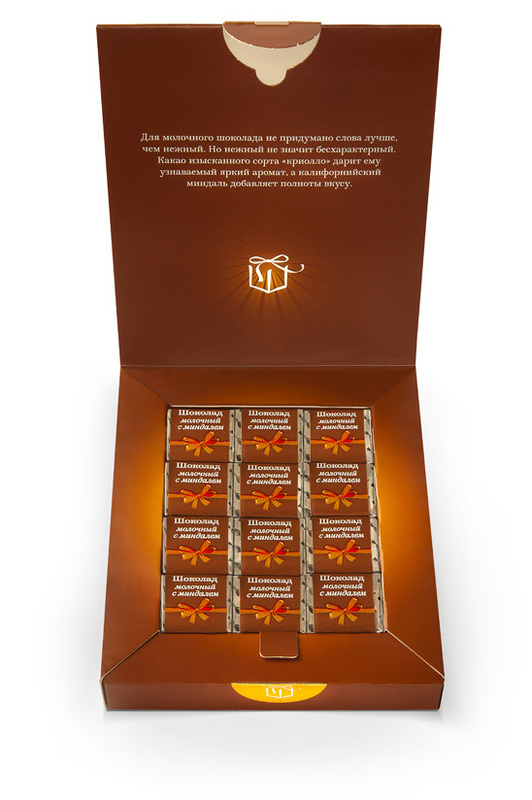 The package turned out really fancy and elaborate—just what your need to dress up a box of chocolates for a decent gift. There is a very handy tab inside the box to make the chocolate-lifting job less of a hassle. Milk chocolate with almonds is open to a conversation. 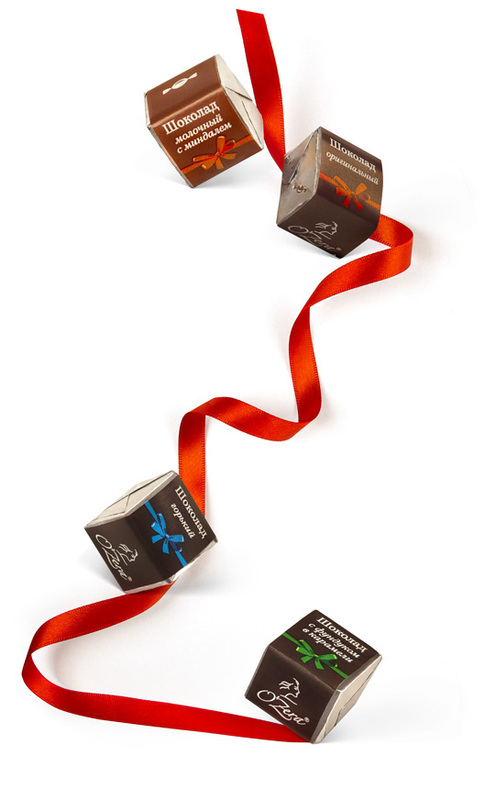 We could not do without such a gift-giving staple as a ribbon.